The Seven Wonders of the Natural World – the Grand Canyon, the Great Barrier Reef, the Harbor of Rio de Janeiro, Mount Everest, the Aurora, Paricutin Volcano and Victoria Falls – are not ranked in any particular order, but after spending five days on foot in the Grand Canyon, I find it hard to believe any other place could evoke a greater sense of wonderment. I have a background in geology and have written about the evolution of the Grand Canyon for EARTH magazine, but descending into the canyon via the Hermit Trail, traveling 60,000 years back in time with every downward step, all I could do was wonder, marvel and walk in awe of the unfathomable power of water and time over rocks. 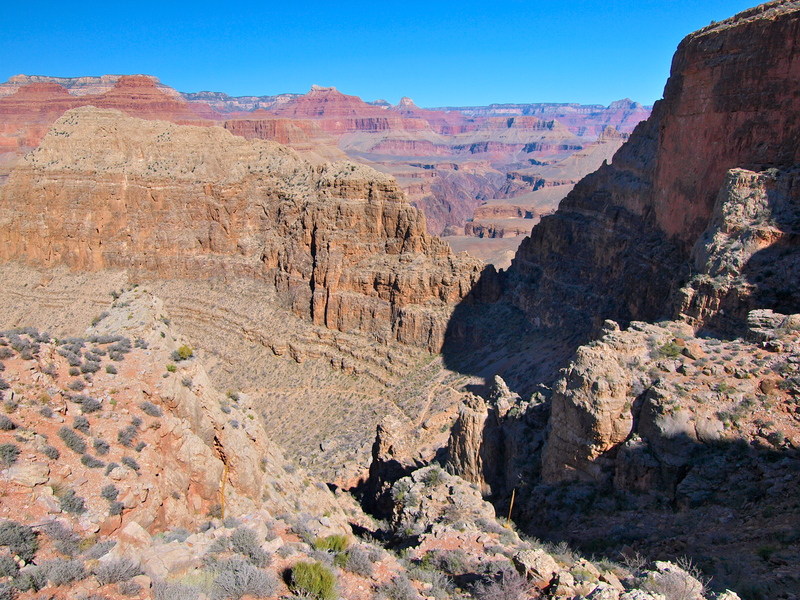 Everything about the Grand Canyon is awesome, in the true sense of that word. Any one formation, any one side canyon, could be an entire park in itself; Zion could fit inside the Hermit Creek drainage. On foot those formations and side canyons extend as far as the eye can see and after a few miles I began to feel like the whole world could fit inside the Grand Canyon. Cope Butte, a massive fin of Red Wall limestone. We spent most of the day hiking around it to our first campsite on the other side; the trail follows around the base of the cliffs. The rocks under my feet were equally as stunning: huge boulders cleaved from petrified sand dunes, glittering opalite crystals and chunks of bright red chert. 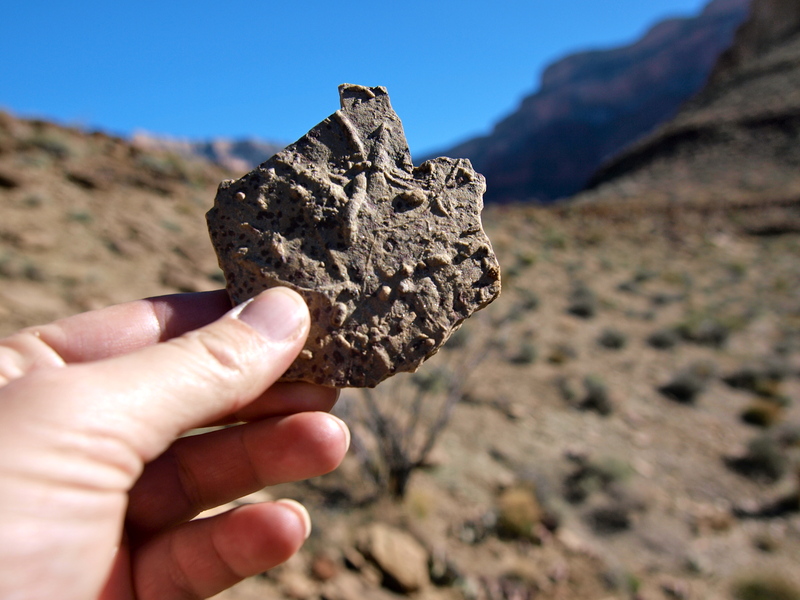 Anywhere else, gems like these might be pocketed by passing rock hounds, but in the Grand Canyon, where everything must be carried up several thousand vertical feet, people tend to leave treasures lie. I knew the rocks in the Grand Canyon would be amazing, but I was surprised at how green the place is! This is a desert, but the canyon was carved by water and the xerophytes are quite happy with their few flashes of seasonal rainfall. We saw enormous yuccas, ancient junipers, towering Century plants and even tiny purple flowers, blooming in February. The descent down Hermit was no joke: we dropped 3,440 feet in 6.5 miles, much of it over extremely rocky, uneven terrain. By the time we hit the Tonto Bench and turned east, our legs were shaking and our toes were sore from being mashed into the toeboxes of our boots. 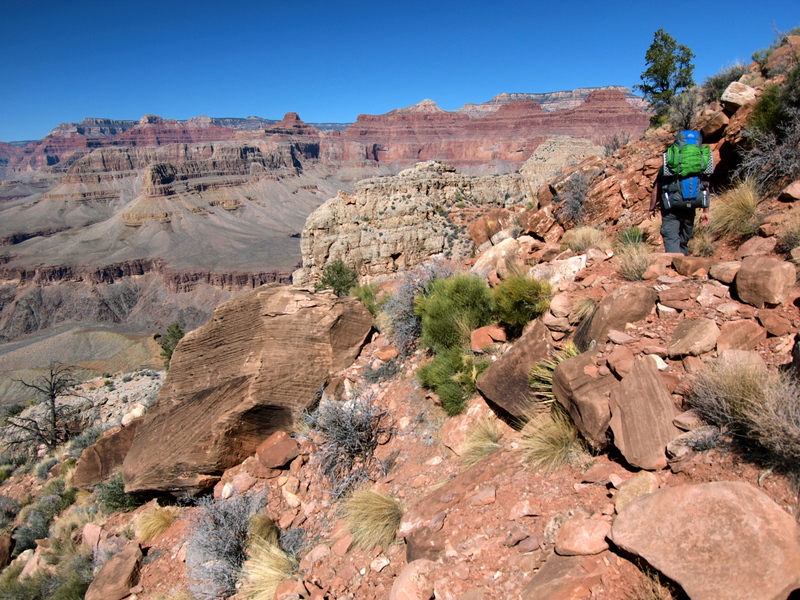 The Hermit Trail, like most paths in the Grand Canyon, started as an Indian trail. The route was improved in the early 1900’s by the Atchison, Topeka and Santa Fe Railway to bypass the toll for bringing mule-riding tourists down Bright Angel. 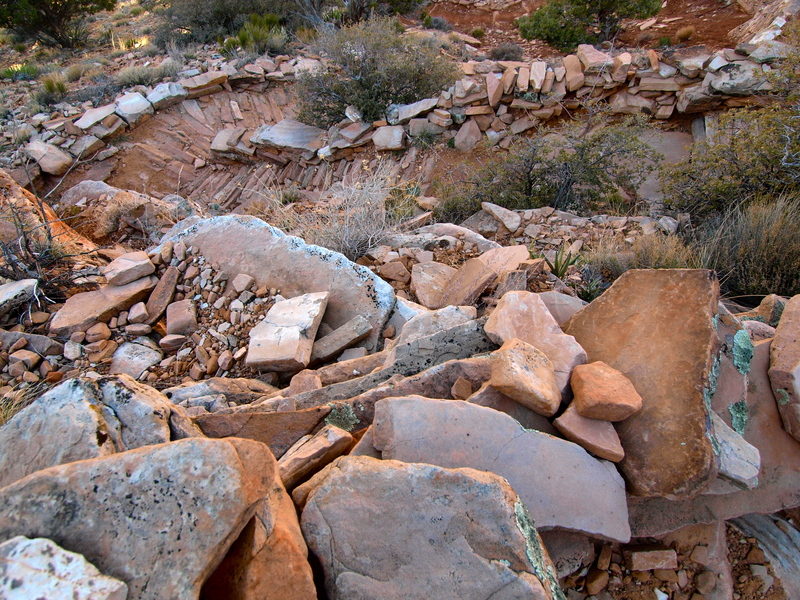 Back then, Hermit was paved with cobblestones and touted as the most modern trail in the canyon. Today, Hermit lies within the “Threshold” zone of the park and is not maintained. Rock slides have taken out a few sections, and most of the cobblestones have migrated downslope, though a few sections remain. The rocky path is well-worn and easy to follow at your feet, but as you look down the trail, it disappears. I’ve never seen a trail so hard to trace through the landscape. Looking back, it’s hard to believe you’ve just hiked down through the sheer cliffs and rubble. Looking forward, you can’t believe the trail will find a way through. Sure enough it does, skirting along narrow bands of cliffs that don’t look passable until you’re past. Our first day down Hermit was our longest day, mileage-wise and elevation-wise, but it was an awesome way to spend the last day of my 20’s! Stay tuned for more posts on canyoneering down Monument Creek, watching rafters run the Colorado, crossing the Tonto Bench, communing with ravens at Plateau Point and hiking out Bright Angel in a snowstorm! 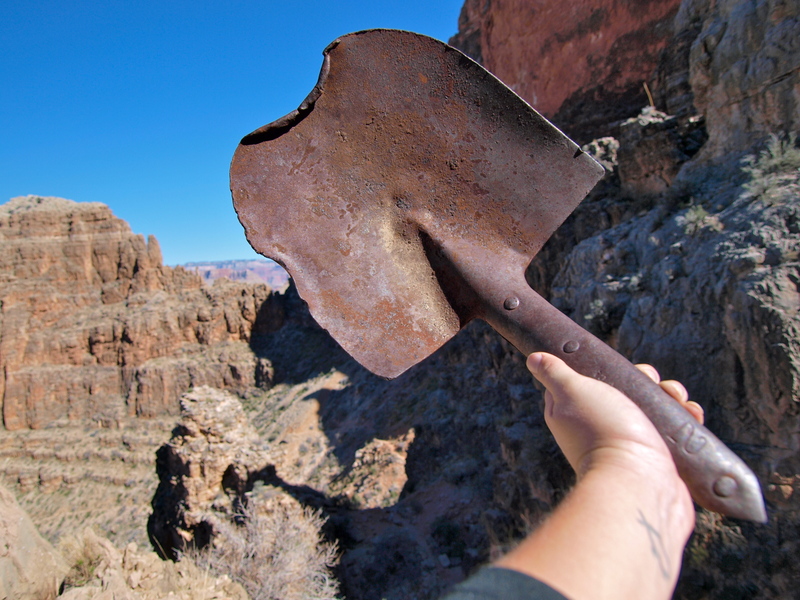 This entry was posted in Hiking!, Photography, Uncategorized, Vagabonding 101 and tagged backpacking, grand canyon, winter. Bookmark the permalink. Beautiful entry. I hiked the Hermit Trail a few years back and just like you, I was so surprised at the lush plants and blooming flowers. Thanks Hannah! 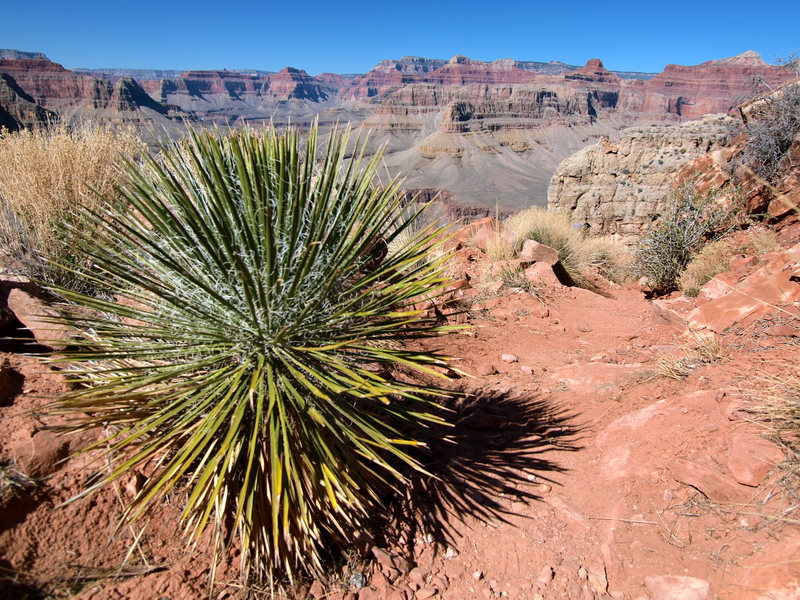 Several of the Grand Canyon expert hikers I’ve met have said Hermit is their favorite trail in the canyon. Great photos! 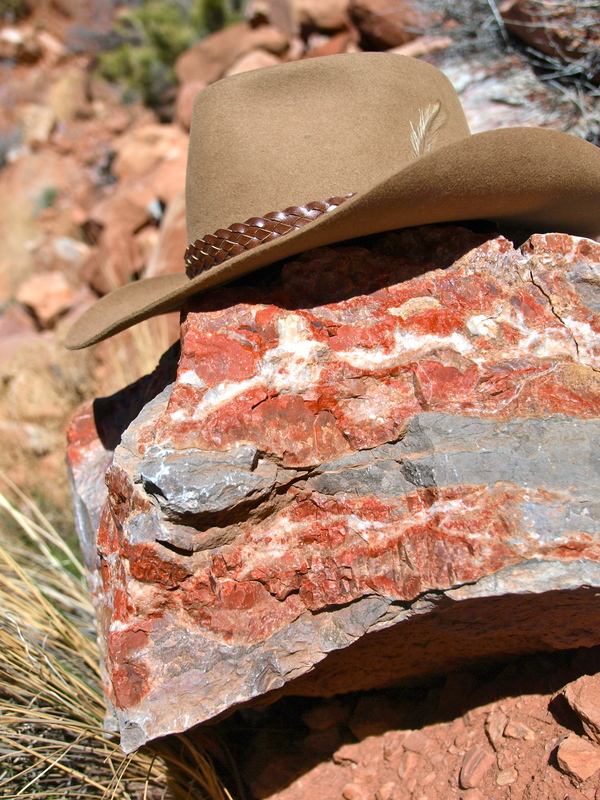 It looks like the burrow fossil is from the Bright Angel Shale, not the Hermit Shale.